She recently sat for an interview. Q. How did you get involved in this field? A. My consciousness for moral issues was raised when my family moved to Riyadh, Saudi Arabia, when I was about 11. It was the first time that I experienced what so many in our communities experience: looking different than those around me. I was welcomed and met with kindness by everyone, but I realized it might have been different, as it so often is in our country and around the world. In college, I thought I wanted to be a doctor. While struggling through pre-med courses, I took a philosophy course, prompted by my mom, and I loved it. I soon figured out I could put ethics to good use working alongside clinicians. A Ph.D. and a couple of fellowships later, I joined UW’s faculty as a clinical ethicist. Q. What do you want people to know about this department? A. Our faculty does a variety of things: empirical research related to ethical questions and normative research on what people should do around broad justice societal issues, such as how to address health disparities. Also we work with healthcare providers and other school of medicine faculty to teach ethics and to provide support and consultation when specific challenging issues arise. "Ethics consultants, like healthcare providers, need to know what they’re doing," Dudzinski said. Q. Do you have an ethics hot line? A. Yes, the UW Medicine Ethics Consultation Service is available at UW Medical Center, Harborview and Northwest Hospital. 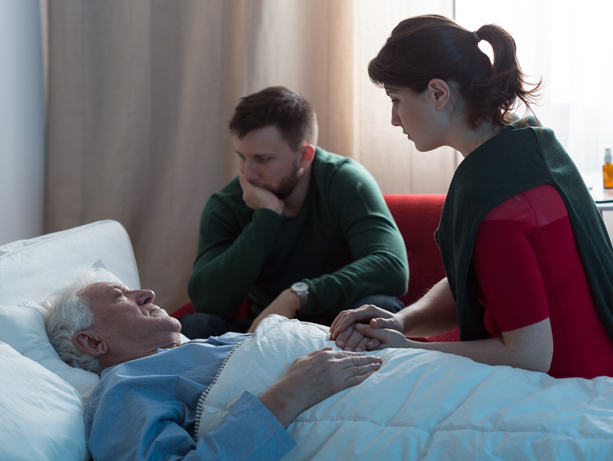 The service supports patients, families, and staff when they grapple with difficult ethical issues often pertaining to end-of-life care. Since everyone wants what is best for the patient, but may disagree about what that is, we can help sort out those disagreements. Ethics consultants can be reached through the paging operator. Q. Are bioethics courses required for medical students? A. Before curriculum renewal, we had a short course taught by Kelly Edwards, faculty in bioethics and humanities, and Diane Timberlake, faculty in family medicine and an ethics consultant at Harborview. Under curriculum renewal, an ethics theme is woven into the whole med school curriculum. In many ways, this is better because ethics is something doctors deal with every day. We are showing medical students how to pay attention to it just like they pay attention to their patient’s chief complaint. Q. Which ethics courses are popular? A. Our department runs the Biomedical Research Integrity series, which gives researchers an opportunity to practice working through common research ethics issues. We teach a number of well-received courses in our minor and masters programs including “Ethical Theory,” “Justice in Health Care,” “The Pursuit of Health in America,” and “When Life Makes You Sick.” We also run a popular continuing-education Summer Seminar in Health Care Ethics. Q. Who are our graduate students? A. The department admits about two to five students a year pursuing a master’s in bioethics, and we are building a certificate in clinical ethics program. Our students include clinical fellows, nurses and doctoral students who want to incorporate bioethics into their practice or research. Q. How can clinicians get this training? A. I’m involved in training ethics consultants. By the time a consult is called, the issue is usually very complex, and ethics consultants, like healthcare providers, need to know what they’re doing. Many academic clinical ethicists are trying to ensure that those who provide consultation are properly trained with a certificate, fellowship, or advanced degree in bioethics. Q. What are key issues the department is involved in? A. Most of our faculty are focused in one way or another on social justice and serving the underserved through respectful research collaborations, improving access to healthcare, improving public health and ensuring that diverse perspectives on social issues are sought and honored. For example, Dr. Wylie Burke’s Center for Genomics and Healthcare Equality fostered collaborative relationships with Native American communities through community-based participatory research. Our faculty also work in interdisciplinary teams to improve palliative care.